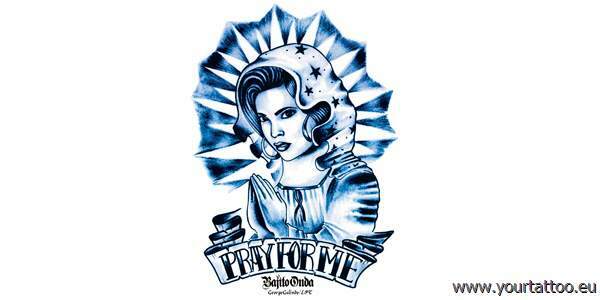 Designer Tattoo Pray for Me von Bajito Onda. Bajito Onda "Pray for Me"
Bajito Onda Tattoo Charra Designer Tattoo Charra von Bajito Onda. Bajito Onda "Charra" 6 x 9 cm (2,5 x 3,5 inch) Designer Temptoo - entfernbare Tattoos für zwischendurch ohne Schmerzen.